It's an enticing offer: "Do you want to save 20% today by opening up an [insert store name here] credit card?" Store-branded credit cards can seem like a good deal when you're about to make a big purchase. But here's the thing: They tend to come with very high interest rates that can trap borrowers in debt spirals, and the perks they offer usually don't compare to those offered by traditional credit cards. The average annual percentage rate on the largest U.S. retailer credit cards increased to 23.84% in 2016, according to a recent report from CreditCards.com. That's much higher than the average rate of 15.22% for all new credit cards. "If you carry a balance, those eight percentage points can make a real difference in your ability to pay that debt down," said Matt Schulz, senior industry analyst at CreditCards.com. And what if you don't carry a balance? If you're a person who pays off your monthly balances and has good credit, you've probably noticed that there are a lot of cards out there fighting for your attention by offering things like cash back, travel points, and other benefits. But store cards often don't offer the same kinds of perks -- at least not outside of their own stores. And bonus offers for opening a store card -- like that initial 20% discount -- are also shrinking. Out of the 100 largest retailers, 34 store-branded cards have a sign-up bonus this year, down from 44 in 2015. And some of those bonuses aren't as attractive as they used to be: 13 offer more than a $25 discount on a $200 purchase. Retail cards, also called private label cards, tend to have lower credit limits and have less strict lending standards, which make them easier to open than a general credit card. "Oftentimes, folks that have these cards may not have the best credit," said Schulz. "And that's partially because they are easy to get. They are appealing to folks just getting started or rebuilding their credit." 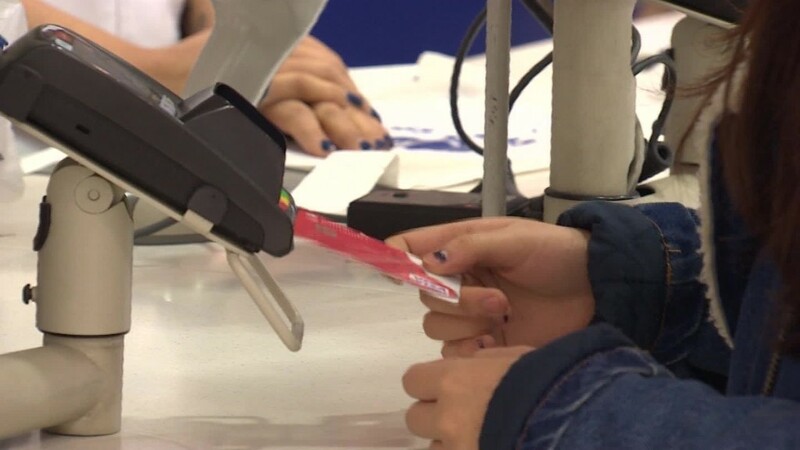 Balances on store cards have nearly doubled since 2007, climbing to $84 billion in 2015, according to the Consumer Financial Protection Bureau. And as we head into the busy holiday shopping season, customers can expect the pressure to mount at the cash register to open a store card. "Shoppers shouldn't let themselves get pressured into a quick decision that they might regret later," Schulz said. He suggested taking the brochure and reviewing it later at your own pace. And there are circumstances when opening a store card could make sense. "They can work for you as long as you are paying off that balance every month ... and understand what the retailers are offering you."